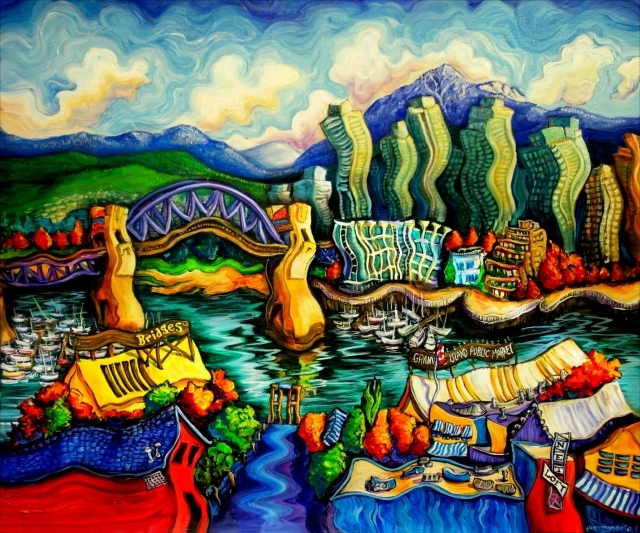 This is variation on Granville Island Morning but more colorful and active. Nonetheless, the office buildings of the downtown core are more uniform compared to the bright ex-industrial chaos that is Granville Island. I wanted to emphasize the contrast of the downtown regularity against the neon-bright GI community separated by the lovely art deco Burrard Street bridge.